Paul Rudd is an American actor, comedian, and writer. Rudd's first acting job was in the TV series Sisters. He has been in mostly comedies since. He next was in Wild Oats and Clueless. He was then in many other films in the mid to late 1990s. By the 2000s, Rudd was an established film actor. He started appearing in popular comedies. His breakthrough role was perhaps Anchorman: The Legend of Ron Burgundy. 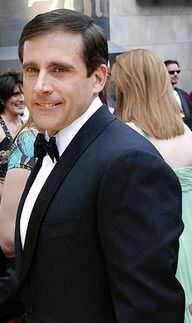 He has since been in The 40-Year Old Virgin, Knocked Up, and Role Models. Rudd also recently starred as the lead in the hit film Ant Man. Paul Rudd at the SUNDANCE 2011: Inside The Cosmopolitan Lounge at The Sundance Channel HQ House. 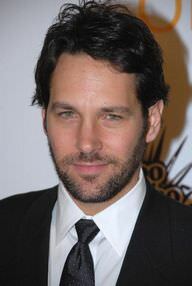 Paul Rudd is a famous American actor, who was born on April 6, 1969. As a person born on this date, Paul Rudd is listed in our database as the 1st most popular celebrity for the day (April 6) and the 13th most popular for the year (1969). People born on April 6 fall under the Zodiac sign of Aries, the Ram. Paul Rudd is the 51st most popular Aries. Aside from information specific to Paul Rudd's birthday, Paul Rudd is the 309th most famous American and ranks 11th in famous people born in Passaic, New Jersey, U.S. In general, Paul Rudd ranks as the 529th most popular famous person, and the 106th most popular actor of all time. “The Famous Birthdays” catalogs over 25,000 famous people, everyone from actors to singers to scientists to serial killers and more. If you're curious to see who was born on your birthday, you can use our database to find out who, what, where, when and why. You can search by birthday, birthplace, claim to fame or any other information by typing in the search box, or simply browse our site by selecting the month, the day, the horoscope, or any other clickable option. 11th born in Passaic, New Jersey, U.S.